Mini Black History Lesson James McCune Smith "Good Friday Salute"
James McCune Smith was born 206 years ago yesterday on April 18, 1803. His life was seemingly full of contradictions because although he was fought his entire adult life for the abolition of slavery. This black man's​ children all live in the shadows of an American society​ passing as white. Even in the 1860 census prior to his death in 1865, James McCune Smith himself​ was categorized as white. Today I am going to spend a 1/2 hour on the highlights​ and lowlights of this remarkable black intellectual as The Blackman Who​ Reads Aloud reads the facts on the life of James McCune Smith, the first medically licensed trained black physician in the United States. Today is the 29th year since the passing Reverend Ralph David Abernathy who was in Martin Luther King Jr.’s own word his very best friend and loyal companion in the civil rights struggle from 1955-68. In many ways Reverend Abernathy was Dr. King’s muse or sounding board during the most difficult days of the civil rights struggle. As a matter of pure fact it was Reverend Abernathy who convinced the 26-year-old Martin Luther King Jr. to take the leadership reins during the 1955 Montgomery Bus Boycott. Dr. King had just arrived in the city of Montgomery, Alabama to pastor at the Dexter Avenue Baptist Church while Reverend Ralph Abernathy had already spent three years pastoring at the First Baptist Church in Montgomery Alabama when on December 1, 1955, Rosa Parks refused to give up her seat on that segregated bus that launched the massive move towards civil rights in this country. So had it not been for two individuals first Rosa Parks for her heroic act of self-defiance and Ralph Abernathy for his ability to convince Dr. Martin Luther King Jr. to take the mantle of leadership during the Montgomery Bus Boycott. It is quite possible that Dr. Martin Luther King Jr. may have ended up on a university campus teaching religion and philosophy rather than leading the massive move towards black civil rights during the 1950’s - 1968. Why isn’t Reverend Ralph David Abernathy more recognized by our black communities as truly one of the most instrumental figures who fought for racial change in this nation? Most likely it goes back to his autobiographical book release the year before he died of massive heart attack at the age of 64. In that book Reverend Abernathy disclosed some sexual innuendoes that Dr. King was involved in the night before his assassination in Memphis, Tennessee. With those disclosures it seemed that every beneficial act performed by Reverend Ralph Abernathy was erased from black history. Even the people who walked side by side with King and Abernathy throughout the civil rights struggle distanced themselves from Reverend Abernathy for those sexual disclosures. Yet, now 51 years since the murder of Dr. Martin Luther King Jr. history has proven that Reverend Abernathy wasn’t telling mistruths about those acts of Dr. King that fateful night. However, no one still give due credit to this man who stood in the shadows of Dr. Martin Luther King Jr. for those 13 years. However, today I am going to give this remarkable man of faith his due. 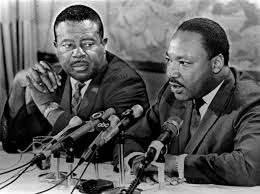 Ralph David Abernathy was locked arm in arm with Dr. Martin Luther King Jr. going into the belly of racial hatred on seemingly every occasion of historical significance during the civil rights struggle. Not only was Reverend Abernathy with Dr. King in Montgomery, but he was also with Dr. King in Birmingham facing the vile hatred of Bull Conner and the legion of white folks vent on doing physically harm on blacks marching for citizenship rights in Albany, Georgia, Selma, Alabama and every nook and cranny of a town throughout the south. Reverend Abernathy marched side by side with Dr. King from Memphis, Tennessee to Jackson, Mississippi when a shotgun blast stopped James Meredith’s personal march against fear in 1966. When Dr. King wrote the historic letter from the Birmingham Jail in April 1963 who was his cellmate, Reverend Ralph David Abernathy. When Dr. Martin Luther King Jr. lead the March on Washington in August 1963 whose words did he use? Who was his spiritual soul partner on the stage the day he gave the I Have A Dream speech, Reverend Ralph David Abernathy, that’s who. Who assisted Martin Luther King in founding the Southern Christian Leadership Conference? The alliance of the greatest band of black southern preachers that was ever created, Reverend Ralph David Abernathy. Who travelled with Dr. King to Oslo, Norway to support his best friend when Dr. King received the Nobel Peace Prize? Ralph David Abernathy that’s who. Who introduced him on that fateful night in Memphis, Tennessee when Dr. King revealed his journey to the promised land? Reverend Ralph David Abernathy. Who gave the final words honoring the life of Dr. Martin Luther King Jr. on April 9, 1968 at the Ebenezer Baptist Church? Reverend Ralph David Abernathy. Why did we allow the white media to destroy the memory of the greatness of Reverend Ralph David Abernathy. The media jumped on the sexual disclosures that Reverend Abernathy put in his autobiography about Dr. King. They, the media again went to the main players of the civil rights struggle in 1989. Rather than reading the whole book which discusses what Reverend Abernathy was attempting to do which was to show that Dr. King wasn’t a perfect man. Because in this world no man is perfect he wanted to simply tell the whole truth about Dr. Martin Luther King Jr. Rather than reading this book which gave the public a bird’s eye view of the total man. The media spent hours upon hours on that fateful night of April 3-4, 1968. I am not saying that Reverend Abernathy was correct in disclosing the events of that night. Yet, it was proven to be historically correct. Reverend Abernathy wasn’t the great speaker that Dr. King was. Nor did Reverend Abernathy have the charm and intellectual charisma that embodied Dr. King. Reverend Abernathy couldn’t capture a crowd to make mountains from molehills. Yet he was a man of religious principles, firm determination and a desire to uplift the black communities across this nation. For that alone he should be remembered as a historical legend for his work during the civil rights struggle. Yet, Reverend Ralph David Abernathy is sometimes forgotten. They are no great monuments built that measure his contributions to our struggle. Yet, whenever the bell rang to participate in the fight for our black communities struggle against injustice, Reverend Ralph David Abernathy answered the call. He faced the bullets, slings, arrows, bricks, bats, pipes, cursing, vile mistreatment and kept his head held high. So today The Blackman Who Reads Aloud salutes the courageous spirit and power of Reverend Ralph David Abernathy. 56 years ago on April 16, 1963, Dr. Martin Luther King Jr. wrote his historically profoundly famous letter from the Birmingham, Alabama City Jail. Tonight on April 16, 2019, The Blackman's Read Aloud Hour reads that letter completely. I will post my reading every year on my blog to ensure that my social media and blog supporters understand the importance of those words written by Dr. Martin Luther King. In so many ways many of the thoughts that Dr. King reflected upon are still relevant in American society today. The power structure that Dr. King hoped to change for the betterment of humanity is still proving to be unjust to many peoples of color in our country. Poverty is still running rampant in so many of our black communities with no solution in sight. People are still closing their eyes to the economic, educational, and social devastation that meet so many Americans on a daily basis. So it is imperative that we pass these poignant words of wisdom to every generation with the hope that one day the issues that create these societal deficiencies would eventually be solved. So, please share my reading of this historic letter to those who may be unable to read or comprehend the magnitude of its greatness. There is one black historical events that is on my mind this afternoon that I would like to spend just a few minutes writing about. That event has confused my thought process for multiple decades. Today is Emancipation Day in Washington DC. On April 16, 1862, 3100 enslaved blacks were freed by Executive Order by President Abraham Lincoln. This event is celebrated annually in the District of Columbia. All public schools and government agencies in the District of Columbia Government are closed during this citywide celebration of freedom for those 3100 enslaved souls. 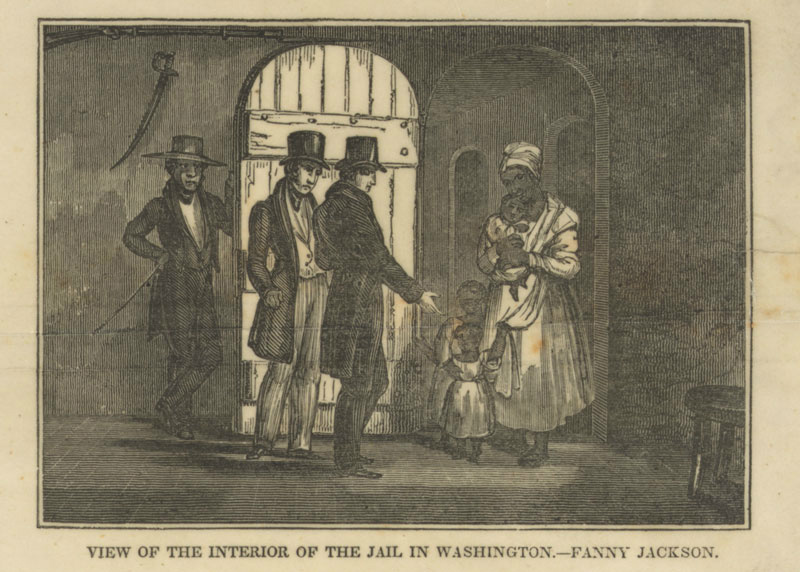 Did you know that on April 16, 1862, there were almost 12,000 freed blacks in the nation's capital? Did you also know that the slaveholders of those 3100 slaves were given compensation for the manumission of the slaves that Lincoln freed by Executive Order? Yes, if they applied by July 15, 1862, to the federal government and were a loyal good standing Unionist these slaveholders could receive as much as $300.00 for each slave they freed. The sum paid to each former slaveowner was equivalent to almost $7500.00 dollars in buying power in 2018. So, in essence, the only reparations paid by the United States Government to any party for the sins of slavery was paid to those District of Columbia slaveowners in 1862. Not one of those 3100 slaves was given a single solitary union penny for being held in forced served servitude by the United States Government. Yet, the slave owners, the perpetrators of this systemic system of vile injustice received compensation. Lincoln felt obligated to do this why? So that he could keep those so-called loyal Unionists happy and content. While Lincoln and the white society maintained the position of utter dominance over the black inhabitants of our nation's capital. I do have some difficulty understanding celebrating the total emancipation of the entire populace of the District of Columbia on April 16, 1862. Because of the fact that our emancipation provided a financial reward to the slaveowners in the form of reparations for the loss of their slaves. Yet, 157 years later no reparations have ever been paid to the enslaved people or their ancestors for the suffering while being enslaved? Damn, how is that possible? On the campaign trail in 2019 for the Democratic hopefuls running for the party's nomination for President. The issue of reparations for black ancestors of slaves has been addressed. My guess is that many, many people both white and black didn't know about white reparations being paid in 1862 for freeing those 3100 Black Washingtonians. Maybe, the conversation should start at that point and move forward. 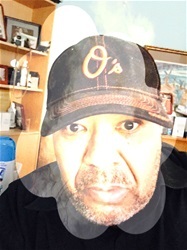 So that every April 16, 2021, becomes rather than just Emancipation Day in the District of Columbia but also Reparations Day for Americans of African Descent, and a check comes in the mail of $7,500.00 for every year formal and informal slavery existed in this country. On this day in 1889, 130 years ago, one of the stalwart dynamic leaders of the black community was born, Asa Phillip Randolph. Mr. Randolph was one of the greatest labor organizers in the history of the United States. Where would our black communities be had it been not for Asa Phillip Randolph, who founded the Brotherhood of Sleeping Car Porters? Not only for the enormous economic benefit derived by the members of the sleeping car porters union but also for the civil rights benefits secured for the black community during the civil rights struggle. Yes, without a doubt the impact of the Brotherhood of the Sleeping Car Porters was so significant. Can you imagine how the Montgomery Bus Boycott would've suffered had not the local leadership of the Brotherhood of Sleeping Car Porters not actively involved themselves under the leadership of E.D. Nixon? Can you also imagine how ill-informed the black southern populace would have remained had not those same black sleeping car porters not delivered the Chicago Defender, Baltimore Afro-American, and the Pittsburgh Courier to southern states by way of the railways? Asa Phillip Randolph demanded that black Americans being able to be employed in defense plans during World War Two. As a matter of fact 22 years before the historic March for Jobs and Freedom on the Mall in Washington on August 28, 1963. Mr. Asa Phillip Randolph stood up for economic justice for black Americans by standing down President Franklin Delano Roosevelt and United States Congress segregationist's policies related to hiring black Americans to work in defense plants. Asa Phillip Randolph demanded that black Americans be hired to work in meaningful positions of employment in those defense plans funded with federal tax dollars. It was Mr. Randolph's idea to create a mass demonstration on the Mall in Washington DC in May 1941. If the hiring or I should say the lack of hiring of black Americans continued. So as a result of that proposed direct action proposed by Mr. Randolph, President Roosevelt issued Executive Order 8802 which opened employment opportunities for black Americans to work in those military industrial plants as well as jobs in other federal agencies without the use of discriminatory practices that had previously denied them the right of employment. Of course, Mr. Asa Phillip Randolph was actively involved in every facet of activity in the planning of the 1963 March for Jobs and Freedom. He also worked closely with other organization planning direct action in fighting the fight for Civil Rights. Asa Phillip Randolph was an American Hero whose chief aim was to ensure that every black American had the right to the pursuit of happiness as well as the rights protected by the US Constitution. So on this day 130 years after his birth, The Blackman Who Reads Aloud asks each and every member of the black community to thank God for the service, devotion, will, and determination that embodied Asa Philip Randolph.